Mobile Acoustic Vocal Booth ( AVB63) designed to create reverberation free acoustically treated environment for great audio recording. It is a good fit for two actors working together, or if you simply want more spacious room. Producers choice sound absorption material (80% noise reduction) for echo free environment. The booth will reduce the outside noise somewhat around 10 dB, and it will suppress humming noises. It was successfully used for Virtual reality room and can be appreciated by Video games players. 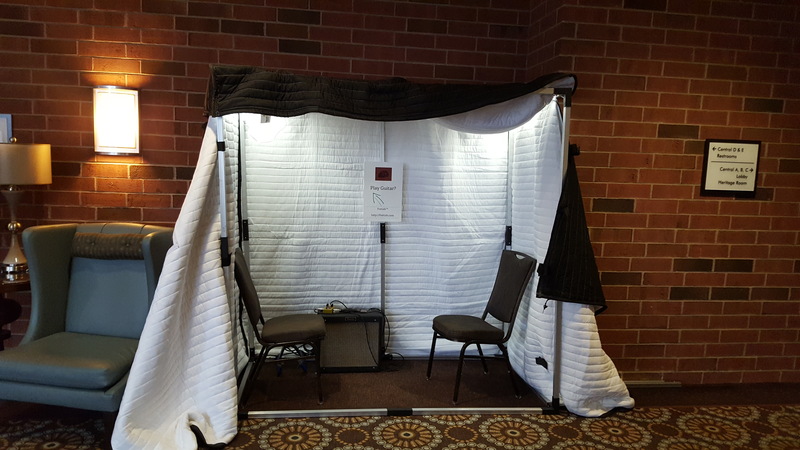 6 x 3 mobile Acoustic Vocal Booth ( AVB63) designed to create a reverberation free acoustically treated environment for great audio recording. 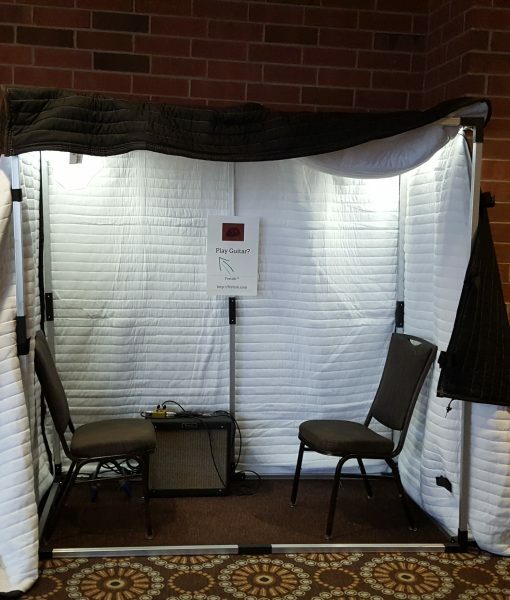 AVB63 is our medium size walk-in vocal booth good for two actors working together or if you simply want a more spacious room. 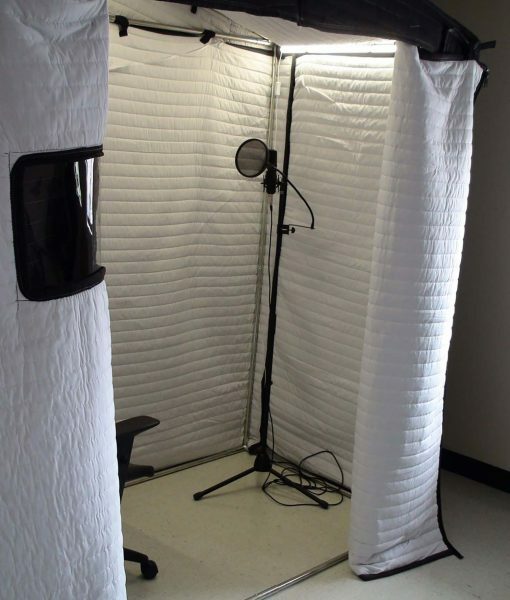 Acoustic Vocal Booth 63 made with Producers choice sound blanket material (80% noise reduction) for echo-free audio recording. 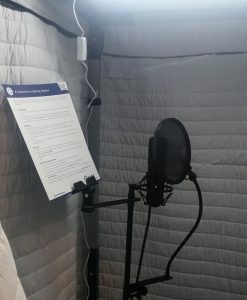 The booth will shield your microphone from echo and reverberations, reduce the outside noise somewhat around 10 dB, and suppress humming noises. It was successfully used for Virtual reality room and can be appreciated by Video games players. This will create for them a world of their own. 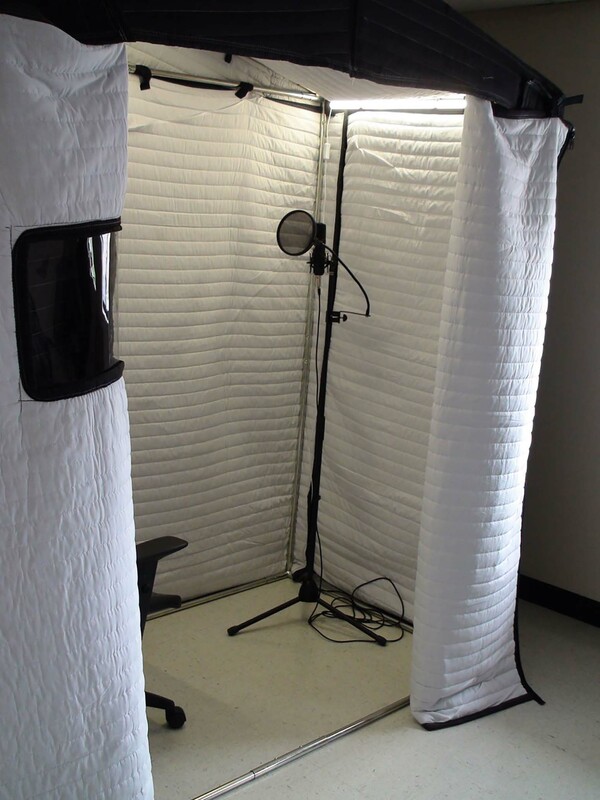 This booth a great tool for anyone needing acoustic room treatment and creating a “dead” space for audio recording. 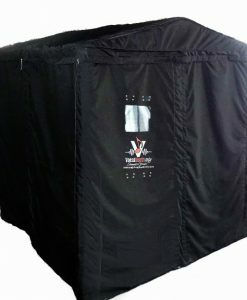 This mobile vocal booth measures at 6L x 3W x 6.5H ft and includes the metal frame, carry bag, LED lights with adapter. Perfect for any space in a home, apartment, garage or it can even be shipped to your hotel as a rental while traveling, doing voice over or music recordings. It is easy to assemble and disassemble. 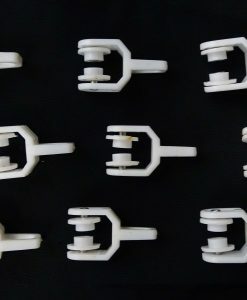 And can be easily transported by car, shipped by a common carrier, or stored in a closet when not in use. Watch our Instructional Video for tips on setup. Please note that it can take up to 5 business days for booths to ship.